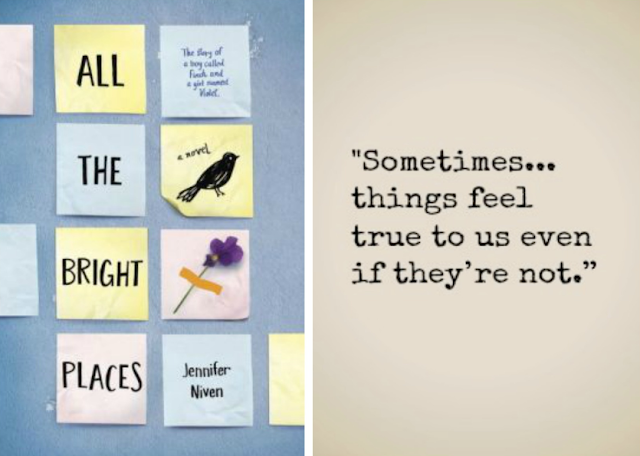 One of the very first book I read this year is All the Bright Places by Jennifer Niven. Normally I don't read a lot of young adult books but what draws me to this was its premise. It's story about mental illness and depression, about Violet and Finch who met on the ledge of the school bell tower when one of them supposedly wanted to commit suicide. It might sound a bit off for some of you but this book really talks about what life is from a young adult's perspective, in which I believe we can all relate to. Needless to say, this book brought tears to anyone to reads it.